“She was such a brilliant litterateur all her life. However, she seemed to have lost this love for literature few years before she died,” Pritam’s close associate and veteran poet Amia Kunwar said at a literary meet here. 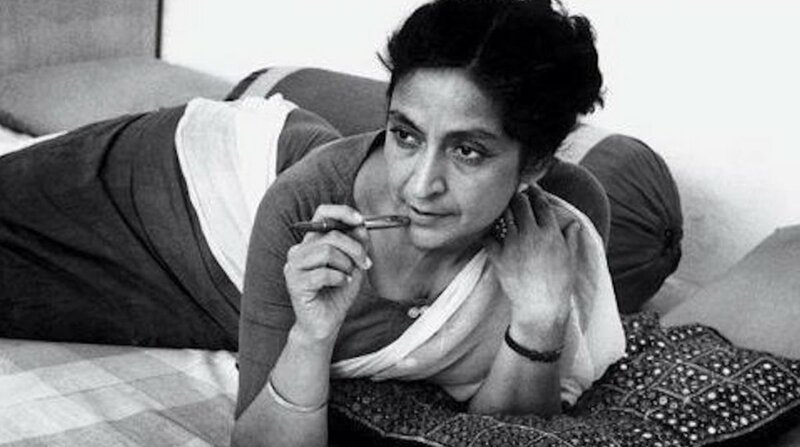 Acclaimed Punjabi poet-writer Amrita Pritam gave all her life to literature but when her partner and famous painter Imroz — the muse of many of her poems — wrote about Pritam during her last years, she had stopped both reading and writing. Pritam (1919-2005) was born in Gujranwala (now in Pakistan) and is well-known for her poem “Ajj Aakhaan Waris Shah Nu” — a writing expressing the horrors and anguish of Punjab’s partition. She is the first woman recipient of the prestigious Sahitya Akademi Award (1956) for her poem “Sunehary”. She also won the Jnanpith Award (1981) and the Padma Vibhushan (2004), a year before she breathed her last on October 31, 2005. “Towards the end, even the thought of reading and writing troubled her. Whenever I brought up the topic or read something myself, she would ask me to drop it,” Kunwar said, adding she was among the first ones phoned by Imroz after the 86-year-old ailing poet died. Her love for Imroz is much-talked about. It can be seen in writer Uma Trilok’s book — “Amrita Imroz: A Love Story” — where she talks of Amrita and Imroz’s “unpronounced unexpressed love for each other”. They lived together for forty years before her death, after she ended a troubled marriage with her husband, Pritam Singh, in 1960. Many note that she features in his paintings just as much he does in her poems and writings. Kunwar, who said she shared many relationships with the poet — that of a sister, a friend and a confidante — said that Pritam and Imroz shared a “deep understanding”. After painting Pritam, Imroz started writing for her, but her ailments made her almost indifferent to everything. She was speaking among Punjabi writers and scholars at Saturday’s literary meet “Amrita Pritam Nu Yaad Kardeyan” (Remembering Amrita Pritam), organised by the Punjabi Academy, Delhi government at Bhai Vir Singh Sahitya Sadan here. It commemorated her 99th birth anniversary and marked the beginning of the centenary year of the people’s poet.